Me: What shall we have for dinner tonight? Me: Yes. Do you want me to cook something or shall we go out? Me: Tom? (Pause) So what are we doing for dinner tonight? As you can see, I do the majority of the asking. Actually, I do all of the asking - I can't help it. 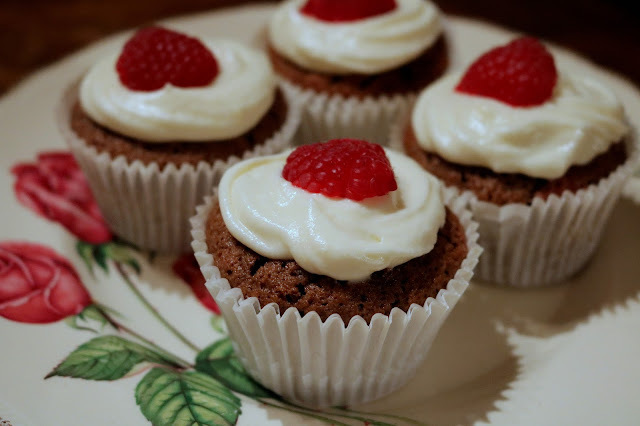 As soon as I wake up, I have food on the brain. It doesn't feel right to go about my day with no idea of what we're doing in the evening. Can I slob around in my harems after work? Have I got time to go to yoga tonight? Or do I need to wash my hair and faff around for an hour making myself look pretty? I like to have a plan; that way, I know when I'm getting my next food fix and I'm less likely to get hangry. 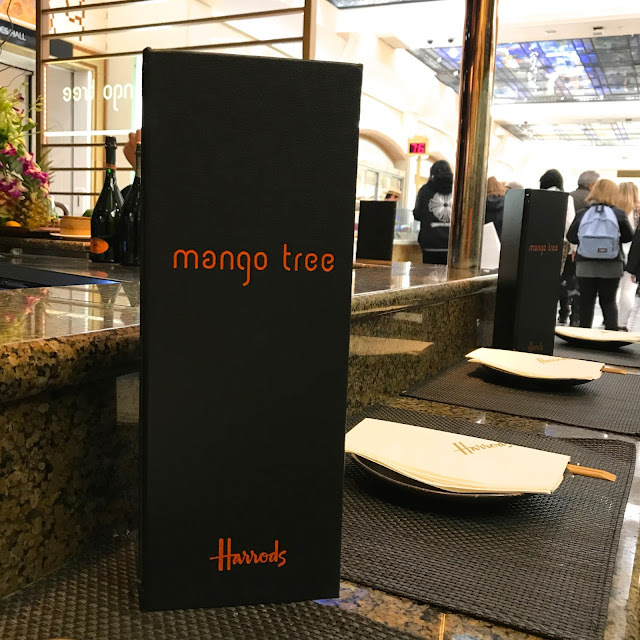 So, when we were invited to sample the menu at Mango Tree's concession a few weeks ago, I was grateful that there would be one more day in the year where I would know exactly when, where and what I'd be having for dinner. 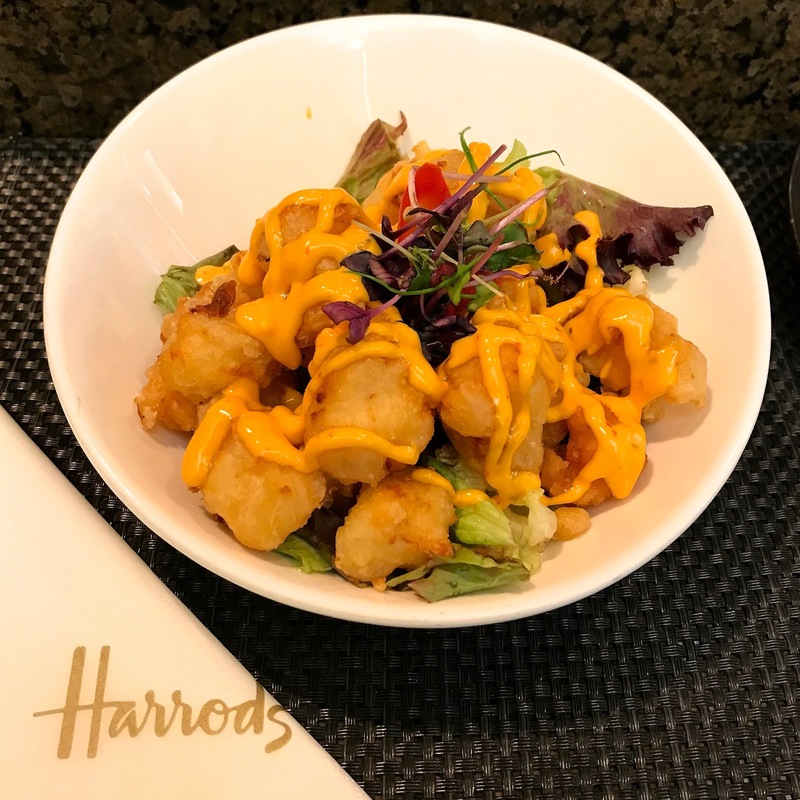 Located inside London's iconic Harrods Food Hall, Mango Tree is the perfect pitstop to allow you to refuel after you've exerted yourself perusing floor after floor of beautifully crafted designer goods (and while you contemplate buying that £2000 Chloé handbag you most definitely do not need). The intimate 24-seater restaurant serves a delicious fusion of authentic Thai classics and Chinese-inspired dishes to appease all palates. Since becoming a pescatarian last year, I find it somewhat difficult to eat out well (vegetarian and fish options can be limited in some restaurants) but after seeing Mango Tree's mouth-watering menu, I knew this was going to be a meal that I would be fully satisfied by. 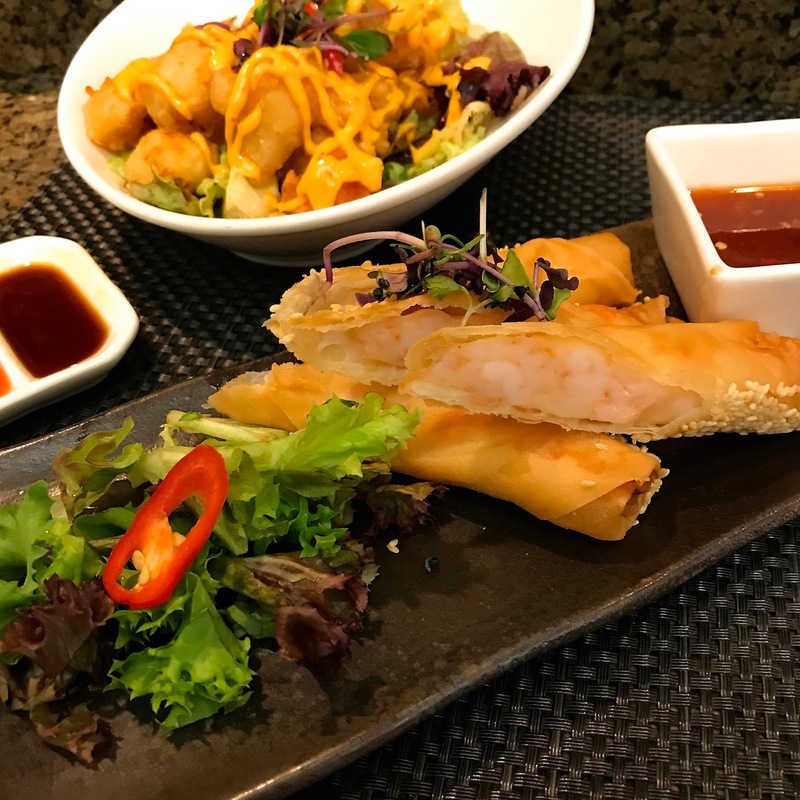 We began our culinary tour of Asia with a hearty portion of lobster tempura and fully loaded sesame prawn spring rolls. Tom and I love Asian food so Mango Tree were already preaching to the converted, but these simple appetisers were so much more indulgent than any equivalent we've eaten before. Both tempura and spring rolls can be more soggy batter than taste sensation but Mango Tree's servings provided nothing less than exquisite quality fish cooked, coated and dressed to perfection. Each bite was packed with luxurious textures and delicate flavours, which left us fighting over who was getting the last piece. (Me, obviously). We then decided to sample the dim sum platter; a seven-piece hand crafted dim sum selection with flavours of lobster and coriander, mixed seafood and baby spinach, black truffle and prawn, Chilean sea bass with gold leaf, foie gras and king scallop, prawn with white truffle oil and prawn and chive. 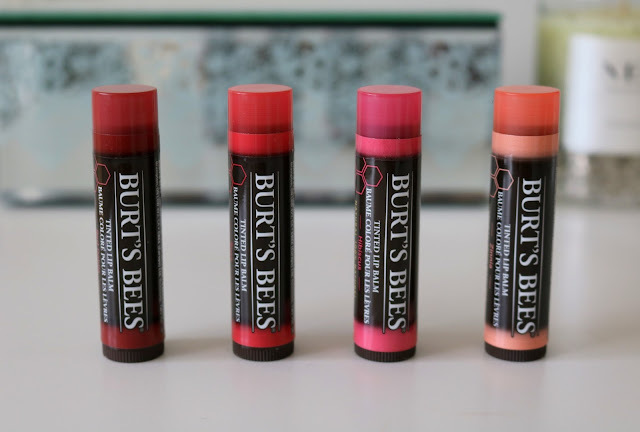 Created from some of the world's most expensive ingredients. 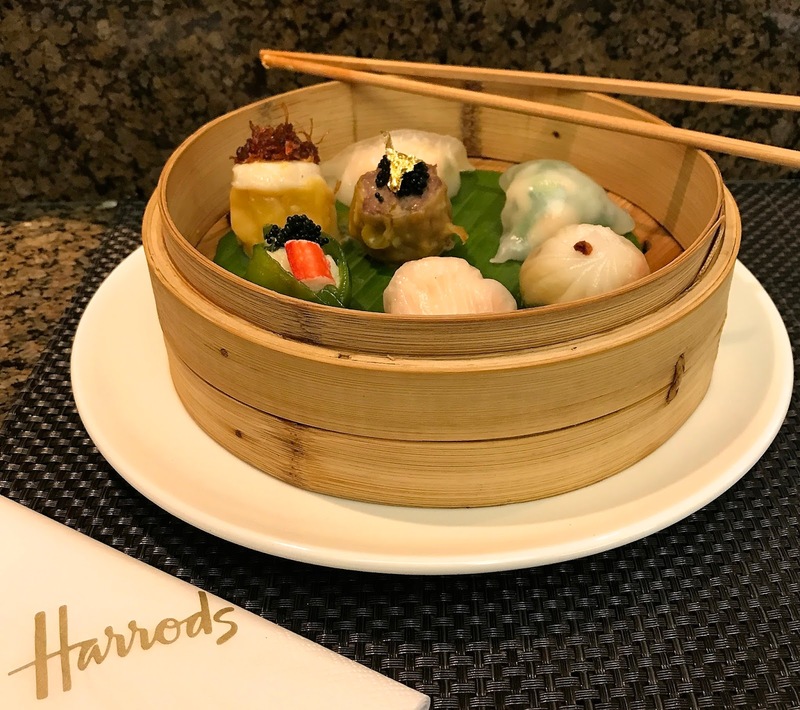 it's fair to say that these dim sum were the most extravagant I've ever seen and provided us with a little bit of luxury in every mouthful. My favourite flavour was the foie gras and king scallop; so delicious that I had to order another portion! After the delightful dim sum came the baked black cod, marinated in a sticky, sweet soy glaze and served with a side portion of jasmine rice. I absolutely love black cod (that's not actually a cod at all, rather a sablefish); with its brilliant-white flesh, succulent flavour and rich, velvety texture, it's a fish that will have you hooked after the first taste. 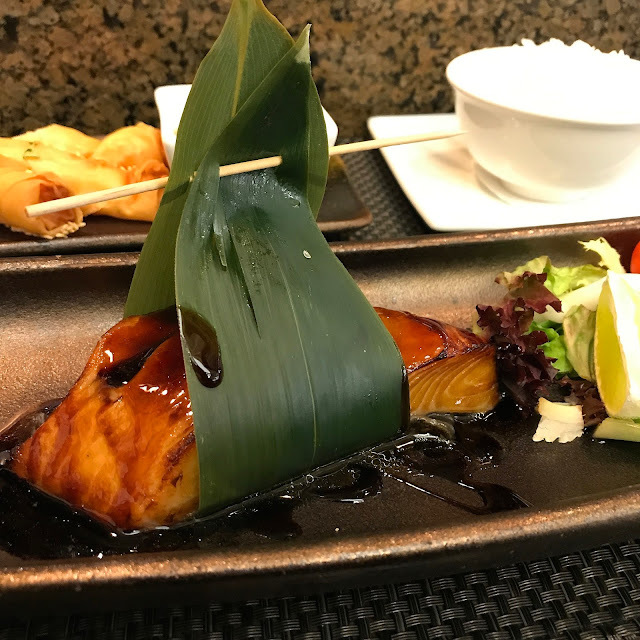 Mango Tree's chefs prepared and served this ambrosial fish so well that it's delicate, buttery flesh was accentuated perfectly by the sweet soy marinade, making it completely irresistible. Practically bursting at the seams, I savoured every moment until the black cod was no more. To prevent a food coma, our waitress recommended a fresh lotus flower tea to aid the digestion of this magnificent Asian feast. Of course, I was very compliant and sipped my tea wistfully until I was able to waddle to the tube. With a higher price point than most Thai fusion restaurants, Mango Tree is definitely not your average Thai restaurant. It offers a true luxury dining experience, delivering quality cuisine with exotic flavours that exceeds all expectations. But what is most admirable is that Mango Tree remains true to its Asian origin in a world that is quick to choose profit over perception. 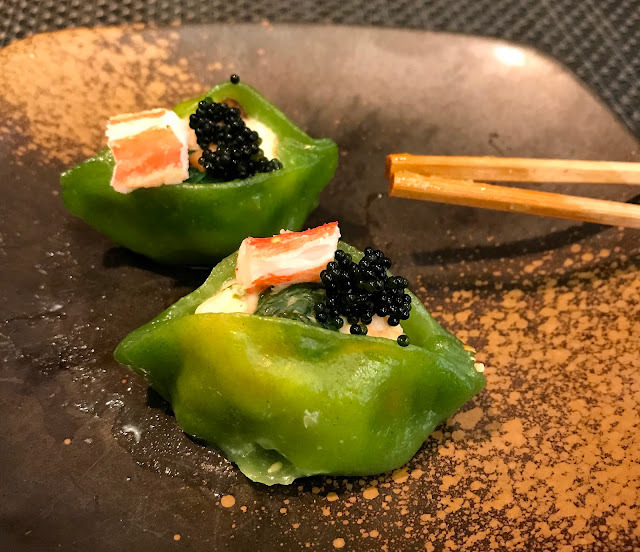 So if you're stuck for ideas on where to eat in London and you're partial to a bit of Asian fare, I would highly recommend you taking a trip to Mango Tree and experiencing luxurious Thai food at its best. You might want to wait until pay day though, because you're not going to be able to resist ordering everything on their menu!